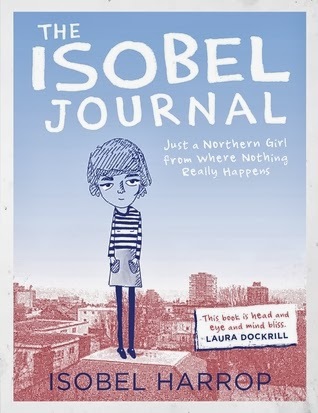 “The Isobel Journal” by Isobel Harrop is the real journal of a real girl. She is eighteen and on the brink of life and everything else in between. The journal is disjointed, in parts and pieces and speaks of everything she goes through – well some of it for sure. It is an illustrated scrap book so to say. It is a slice of her life and all that she wants to be and do and who she really is. It is almost a love letter to other teen girls about life, loving, living, animals, parents and everything else in between, which makes this book even more unique and different. The book is full of illustrations and might I add, life. She does not get preachy, nor is she annoying. She is just how most eighteen year olds are and yet has a personality of her own. There was no writing to begin with as such, and yet the illustrations spoke volumes. Isobel Harrop sketches and talks of her life, the way it evolves – in fragments and in coherent pictures. The Isobel Journal is both – heart-warming and sad. It is wistful and thought provoking about a teenager’s life who will not be a teenager soon enough. It is honest and right there, waiting to be devoured by readers, even though it is mostly full of illustrations and yet resonates and reminds you of when you were eighteen and full of life, or perhaps not. This entry was posted in Books, Graphic Memoirs, Graphic Novel, Hot Key Books, Review and tagged Britain, france, Graphic, graphic novel, Hot Key Books, Illustrations, Isobel Harrop, teenage, The Isobel Journal on December 18, 2013 by thehungryreader.